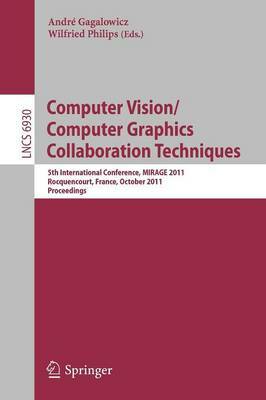 This book constitutes the refereed proceedings of the 5th International Conference on Computer Vision/Computer Graphics Collaboration Techniques, MIRAGE 2011, held in Rocquencourt, France, in October 2011. The 23 full papers presented were carefully reviewed and selected from numerous submissions. The papers cover a wide range of topics with focus on Computer Vision/Computer Graphics Collaboration Techniques involving image analysis/synthesis approaches especially concerning theoretical, computational, experimental or industrial aspects of model-based image analysis and image-based model synthesis.